The majority of the high court agreed with most of the lower court’s ruling and dismissed most of the lawsuit’s allegations, but allowed a wrongful marketing claim to proceed. “The regulation of advertising that threatens the public’s health, safety, and morals has long been considered a core exercise of the states’ police powers,” Justice Richard Palmer wrote for the majority. If the NY State Supreme Court is so leftist and demented to hold a gun manufacturer responsible rather than the pervert murderer or his mother responsible then the matter needs to be appealed to the SCOTUS where there are at least some Constitutionalists now on the Court, thanks, HUGE thanks to Trump, that can let the U.S. Constitution speak on this matter. Dangerous advertising If I ever heard it. Connecticut used to be the home, at one time or the other, to virtually every major firearms manufacturer in the United States. No longer, sadly. OR ford for everyone killed in an auto-accident. Or budweiser for all those who die from alcoholism. OR Verison for all those who die due to texting while driving. WHEN WILL THIS INSANITY of trying to blame the tool, stop!? The completely unhinged left has lost it’s collective mind if it, in fact, ever really had one. This will lead to a catastrophic future, where vehicle manufacturers can be sued because a group of people were mowed down by one they happened to have made. Van and truck manufacturers could be sued, in instances such as vehicle bombings, simply because one of their vehicles was involved in a bombing. Knife manufacturers could be sued, if a knife were used in a murder/multiple murder. Let’s go a bit farther, and say,if a building were burned to the ground, with all killed. Could someone then go against the company which made the lighter, match, or flammable liquid or solid used for the deed?.We have ventured into the twilight zone of pure ignorance of thought, and need to blame, ANYONE for anything. It’s Connect a dot, not ny, but…. They let pass because. apparently, Remington advertised the Firearm as the perfect gun to murder children in schools. Advertising for ANY OTHER USE would invalidate their ‘logic’ used in “creating” that poorly thought out decision. Strange, i’ve NEVER ONCE seen a tv or magazine ad for any gun saying “BUY our products, they are great for murdering folk”.. Completely absurd and stupid. The company made the gun but it did not shoot anyone with it. That was the criminal shooter who apparently stole the weapons from a mother that did not lock them up! The company needs to take this to the SC. NY is desperate for money and are well known as crooks, liars,and haters and yet have a high rate of murders, like Florida, like Chicago, and now CA. This is pure bunkum! And Roberts says judges are judges. Well,I can assure you we recused a lot of them when I was working in law. Prejudice and not sticking to Constitutional laws. Absurd and stupid, it seems is all libtards can come up with, these days.. If the Supreme Court does it’s job they will block this. They just want to bankrupt gun manufacturers. Leftists always want to blame everyone except the one actually responsible for the act. Remington SHOULD BE ABLE to come back on the “justices” for ABUSING THEIR OFFICE and bankrupt them, THEN file Criminal Complaints to send them to Prison for LIFE! You are dead on, C.O.G.! It’s time we prosecute judges that blatantly break the laws of our Constitution and Bill of Rights. Tyranny wears many faces and we’ll see who wants to make an asinine decision like this one and who is willing to uphold it. With tyranny and an illegal invasion by those who have been taught to hate us since birth, NOW they want to take our means of defense? LMAO! Meanwhile, they will keep coming up with something bizarre every day so we are all busy putting out the little fires while they are doing devastating work behind the scenes. Keep your eyes and ears open! This is an old tactic. Connecticut will lose in the Supreme Court. Just laugh at them for now and worry not. The rifle is an immobile object, it doesn’t move. Law of physics. Blame the person who moved it. Period. It can be a car, a knife, a hammer, rocks, baseball bat. He can use anything and the rifle cannot stop him. Only in the sick, twisted, demented mind of a leftist could a firearm or firearm manufacturer be held responsible for the crime committed by a psychopath. These are the people who insist on keeping our borders open to drug dealers, human traffickers, and killers. I see the need for recalling four “Justices” here. I’d recall ALL LIBERAL judges, and permanently kick them off the bench if i could..
Yup blame everyone and thing except the ones who are responsible. After all it must be Fords fault on of their Mustang cars went rogue and ran some one over, after all they were marketed twords the young. Blame the Louisville Slugger bat for beating someone to death because after all they were marketed for the young. These judges need to be hung in front of a courthouse. Every Town Square, County Seat, State Capital Building, and the US Capital Building should have GALLOWS permanently erected in front of the Front Steps SPECIFICALLY FOR PUBLIC EXECUTIONS of Corrupt politicians, and politically appointed ‘judges’ and bureaucrats! Build them out of REARDON STEEL so they will last hundreds of years. So using that logic if I buy a super up muscle car run down 15 people killing them they can sue the car manufacturer!! I think the demorats have been unduly influenced by the Russians, lol. Better start another investigation only this time against the correct party. Unless we clear out the rot that is the dept of injustice any such investigation will merely be for show. Here’s the problem…Lanza did not buy the Bushmaster because it was marketed towards young people…In fact Lanza didn’t purchase the Bushmaster at all…His mother purchased the weapon legally for her self…Lanza took the rifle that belonged to his mother and then killed her with it plus he went on to kill a number of school children at Sandy Hook elementary with the same rifle…Apparently the Connecticut State Supreme Court is made up of a bunch of liberals who dislike guns and people who own them…Of course they ruled to hold Remington accountable disregarding the above facts…Should we have have thought they would rule otherwise? El. ALL those are facts.. And we all know, libtards care not about facts. OK, I can end this now. First Adam didn’t purchase this, it was his mothers which he stole. Second, this isn’t a military firearm nor does operate in the same fashion. Thank god it wasn’t a 1911 then we’d be screwed. So stand by to start suing car manufacturers for death related to car’s. There are a bunch of want to be terrorist that used them as deadly weapons to murder people. So, the law passed in 2005 stipulating that gun makers cannot be sued for misuse of their product doesn’t apply to CT? Of course not, haven’t you heard of States’ Rights? Apparently you have no grasp at all of the meaning of the 10th Amendment. IT damn well should apply to all states.. 10th amendment or not. 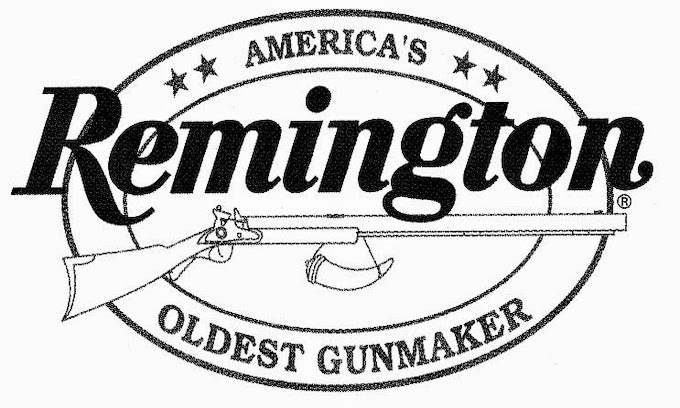 Okay, so the premise is that Remington’s advertising to “the young” caused this. Must be liberal logic. The school shooter did not buy the gun, his mother did. The gun was secured in a locked gun cabinet, with his mother the only one with a key. Her son killed her to get the key, which she wore around her neck on a chain. The mother tried for YEARS to get her son into a mental health facility. This is simply a liberal financed attempt to move forward the liberal agenda to bankrupt any and all American gun manufacturers, and eventually disarm all Americans. I mean, once the Democrats get hold of the Government, they will go full-on socialist/communist. And when we end up with an old USSR style country, with the Politicians eating lobster and steak, while everyone else is standing in line to get their allotted 3 government potatoes a week, they don’t want guns where the populace can get at them and revolt. They had better be very careful opening up the “Sandy Hook” scenario. A court case could uncover information which might be very damaging to the government. My prediction is the court will be overturned on appeal. Typical liberal and socialist act! When will we be able to educate the demented, opinionated and weak minded liberal socialists? They are the NAZI’s, National Socialists, not conservatives or Trump. The advocate violence and are the true radicals! They can say whatever they want but federal law, which is supreme; says they cant. The answer for Remington is to bypass the appellate court decision and appeal directly to the Supreme Court. The law is clear and marketing is a not reason to vacate the law. This is simply a another leftist court decision to nullify the Second Amendment. We also need a new amendment that punishes judges with expulsion whose decisions are reversed more than five times by higher courts. That will end the assault on our Constitution by judicial tyranny. Connecticut has GONE TOTALLY NUTSO! This MUST NOT STAND! The principle is well established that this kind of law suit is UNCONSTITUTIONAL! Has anyone on this forum seen unequivocal evidence that anyone was shot with the Bushmaster? I’ve read several differing accounts, most of which don’t even agree on the cause of death of the Lanza’s mother. One account even stated that the Bushmaster was found by police in the trunk of the car, and wasn’t removed from the trunk during the event. From 3 reports i remember reading, he did use his ar in the shootings.. OR more correctly the one he stole from his mother after murdering her. After WWII, in 1947, the US District Attorney’s Association, usurped the Grand Jury away from We the People. Prior to this the Grand Jury was being used to control county budgets and taxes, and indicting corrupt politicians and judges. Because of this, the powers that be couldn’t have it, so they stole our 6th Amendment Right of the Grand Jury by claiming the People were using it as a personal attack agency against unfavorable politicians and judges. Since then, judges and politicians have run wild with immunity and have violated all of our rights as a result. It’s time to demand our state legislators to put the Grand Jury back in the hands of We the People, by passing the appropriate legislation. The judges voted 4-3. The gang of four just may have gone to law school. Those schools need to be sued. They turn loose people who do not start with studying the Constitution. They learn precedent. They learn what has been decided before without regard to the Constitution. They learn that the Constitution is a piece of clay, as Jefferson complained, that they can mold in their own image. Unless they can present specific evidence that this psycho was directly influenced by Remington’s advertising to commit this heinous act, there is no case. AND since he didn’t BUY the gun, his mother did, why would it matter how they advertised their weapon?? looking forward to the federal appeals court dismissing this suit and making the plaintiffs pay all of Remington’s legal fees. how exactly did the companies advertising make the shooter steal his mothers weapon, kill her then go shoot up the school? If anything, i’d ALSO MAKE THESE 4 judges, also pay their legal fees. Unless they can prove that Remington’s advertising directly influenced that psycho to commit his heinous act, they have no case. Believe me, the conservatives will have their say again as soon it goes to the Supreme Court. Remember “He who twitters the tardyest utters the most boisterous guffaw”! Someone uses it to blow people up. Then they get sued because they said it could blow the competition away. Seems like today idiocy is winning out. As i’ve often remarked. That film Idiocracy, seems more and more like a portent of things to come, rather than just a comedy..